The planet’s energetic architecture in time/space has shifted which allows access and exchange into another Universal Gateway since late October. We have penetrated through another portion of memory layer, a “dimensional collapse” in time. This collapse sources from a traumatic event that recorded itself into the Underworld timelines. As we have entered this opening into another playing field, it also comes with possibilities of elevating a new Creation. This begins sequential gateway openings for 11/11/11 and ongoing, however there is still much resistance to overcome with the negatives. Naturally these new possibilities of Creation go hand in hand with our own responsibility to accept or deny personal sovereignty as a “God Realized” multidimensional being. To be realized is to be actualized in the likeness of God, a state of being radiant with the virtues of the Krystal/Christ Intelligence. As we embody the Krystal/Christ pattern, it is the Heavenly Jerusalem (The Rod and Staff Union) that can restore balance to the planet and peace to the people. Krystal Intelligence in form or the Embodied Christ – Is Unity. As we radiate God’s Living Light and Unconditional Love, we cease to need to absorb the light energy of others. We cease to use personal will to manifest or have a need to exert control over others. As we become God’s Co-creator in form, the Living Trinity, we are now given access to The Creatrix field. This is generated from the state of “Oneness” which is the mandatory platform of the Next Universal Cycle. In order to open this dimensional doorway we have accessed the timeline memories of which all humanity has passed through the “Ring of Fire” which in turn passed Through the Wall in Time. Some of us have been horrified or terrified in the last few months and may have related to this sensation as an “impending doom”. It is a memory field that we are finally remembering, and this tragedy does not have to manifest on the planet in this open window of time. This dimensional doorway has flooded a host of new frequencies, downloads and memories to integrate into our planetary grid and within our own physical bodies. As we integrate the energetic polarities of humanities lost experiences in the history of our species evolution, it is possible that we can choose to synthesize these lower vibrations into a higher vibrating pattern. These patterns will recreate themselves within current contemporary settings, in family dynamics or other human interpersonal relationships. We can choose how to respond rather than react to these intense memories and their energetic influence. We can end the Great Suffering and Sorrow for all of humankind by using Compassion to Witness these attritions in the timeline. Through this dimensional doorway, our planetary consciousness has pierced a veil to which has great implication on humanities future development as sovereign and free beings. To end suffering is a part of becoming sovereign and free. To participate with evolution is to yearn to become a “knower” of the mysteries of God. To end suffering, one must honestly face themselves. Every being will make this choice from their point of consciousness awareness. As we move Through this Wall In Time, we are being forced to face ourselves and each other. Fears, phantoms and delusions must fall away while facing the painful memory of our own experience of “separation” and our illusion of dis-unity. This is a core spiritual fear of humanities great suffering, as our group soul was splintered and descended into the darkness from this event. We have been terrorized with the belief we would never be saved or whole again. This spiritual fear is the perceived “death” and subsequent belief of the total annihilation of our selves. We may face this belief system or re-live the experience of our own annihilation in order to arrive to the truth of our Eternal nature. This is the Phantom Death. The illusion in time is that we will die. To embody the inner spirit of God’s Source is to transcend death, and all perceptions of death become a moot point. As the Phoenix rises up from the burning ashes of its own dead body, the consciousness is resurrected to live in its new Eternal body. Your personal and direct relationship with God Source inside you is the only relationship that matters. In that relationship ALL THINGS will be saved. There is nothing around you that touches your personal environment that will “die” when you bring your Eyes of God in Oneness – to remember them as Perfect. This is the GREAT WORK! All beings have this choice available to them at any moment. However, they must transcend their mental sickness and insanity to embody the balance of their inner spirit. There is no faking to the Eternal Watcher of All. Salvation does not exist in the mind. It exists within the Pure Heart and is At One with the Heart of God itself. We are now potentially embodying as God’s Co-Creators to reanimate All that has been “killed” in the multiple other timelines. That which has appeared to us as “dead” in the timelines, is remembered by the Creator to be resurrected into Eternal Life. These creations reanimate to be placed within the Creatrix of the next Universe Cycle, the Seven Higher Heavens. Many of us will increase lucid dreaming states that are a part of the “reanimation” or the clearing of holographic bits of the fragmented mind memories. With these timeline membranes dissolving the dream state and waking state become more blurred. Do not let this frighten you. We are leaving three channels of broadcast and integrating more channels. Multidimensional awareness, lucid dreams, bi-location through dreaming states, while awake or asleep – will amplify. We may be a part of Dreaming the New Universe into Manifestation through the Creatrix field opening. The Aurora Krystal Star luminaries from the next Universe have also returned to reclaim these pieces (and bodies) to be reanimated into the New Universal Cycle. We are their physical conduit into the Earth as purposed to reanimate the grid of the “Four Living Creatures” that make up our collective human consciousness and elemental body. The Four Living Creatures (Lion, Eagle, Ox, Man) are Guardian Consciousness Pylon Networks of the Planetary Grids, much of which was infiltrated by negatives. The Four Faces of Man awaken the 12 Guardians through the unification of the Four Living Creatures. (Seeen.wikipedia.org/wiki/Tetramorph). These Guardians protect the creation by embodying connections (walking into an identity) in every dimensional station of time. As we awaken from the inanimate clay of human flesh – we ignite the Fire of God in our hearts (through the Aurora) to animate our flesh into the Eternal Body. We then become the Reborn Children of the Sun, The Embodied Guardians of the Creation. This process is the rebuilding of the Inner Sun Temple within our own Heart to reignite the Inner Throne of Power, the Fire of God’s Inner Light set Ablaze! As with the ancient metaphor of the Phoenix, the body dies and from its remains of burning ashes, it returns back to the Temple of the Sun (Heliopolis) and sits at the Throne of God. From the seat of the Throne, in a sacrament dedicated to its Father (RA) principle, it is resurrected into its new body as the Eternal Luminous One. Many of us will remember this mythos from Egypt as we walked together in those times as well. We can recognize that spiritual source connects to humans through the mythos of archetypes and that these manifestations can become animated into the physical world through alchemical ritual. The Egyptians certainly knew this principle. The promise of God is that when the Age of the Kryst/Christ returns to this planet, the dead are to be resurrected and reanimated into Eternal Life. We have entered that Time. The Temple of the Sun is reigniting on Earth through the heart of its Children. Those Children of the Sun will be called to ignite the Temples of the Sun and their Sun Dials, as above so below. All of us humans will eventually reach the point in our destiny where spiritual evolution and our ascension actualization is the foremost priority of our entire existence. As we expand our consciousness capacity through this Ascension cycle (the organic process of spiritual initiation- that which activates our inner core frequency to increase our personal auric bodies radiant light expansion) we reach levels of direct sensory experience that transcend our lower ego mind’s linear perception of reality. The ignited lightbody (the reconnected Soul/Monad) activates energetic intelligence receptors that translate within the cellular knowing of the physical body itself. The activated body becomes a massive radio tuner able to tune into many different channels of dimensional octaves within the Universal frequency spectrum. Many of us on the Ascension pathway are attempting to decipher these radio channels coming online as our cellular (re)memories are linking into a relationship with the current station of our identity. Sometimes this “remembering” can feel scary to the unprepared body and mind. Sometimes we are not deciphering the message clearly and we become confused in fear. This is part and parcel of the spiritual ascension embodiment process – the synthesis of polarities to allow the integration of higher frequency light to be available to the planet and the human race. The term to describe this transmutation process is called “Polarity Integrator” and many Starseeds have aggressive missions to do just that job while on planet Earth. It is a mission to be honored and respected when we are capable to understand its place of value in the necessity of spiritual ascension embodiment. All things potentially to be manifested in any timeline must be “embodied” in the physical plane of matter. To manifest the Ascension/Incension experience, Starseeds are embodying the process as prototypes to give this planet and the race field access to the instruction set in this density. We are becoming a Stargate of Ascension. Thus, we are collectively the “Avatar of Ascension”. As Starseed Architects of Living Light observe and experience these code reversals, (this happens in physical matter and in the pre-manifested matrices) they are capable of overriding the artificial code to the living code of original creation and intent. This is the process of restoring congruency in the planetary architecture to the Natural Laws of God, the Law of One. A Starseed (or any being) must perceive the Infinite to be within the Oneness, a state of consciousness which opens the doorway to the Law of One. So in many cases the Starseed will be exposed to negative polarity systems and “perceived” negative experiences in order to override the timeline of destruction, as well as source the causation in the timeline where the destructive event has applicable relationship to current outcomes. It returns to the Oneness to override the destruction created in polarity. • Hold Neutral as the Compassionate Witness of God. • Synthesize the Opposing Polarities by Loving them Equally. • Internally Unify inside your Body through Applied Acceptance and Forgiveness. • Cellular Embodiment of the Unified Experience takes place. • In Gratitude, Peace and Balance is Restored. This is why it is wise to never judge another person’s path and to always be compassionate and loving towards others. Many times it is the Ascension community that is the most hostile towards the Starseed who is providing an incredibly large service to the planet – as a Polarity Integrator. This role is highly misunderstood on the planet and the person’s own peers will attack him for his core essence mission. Fear and self doubt are poison to the mission activated Starseed, and weakened people with dominating egos will be hijacked in order to obfuscate, confuse or block your direct cognition through lower ego dramas and bias. (A weakened person is one who submits to his ego fears and programs over choosing compassionate love in action) To transcend this ego pitfall and strengthen, mental and emotional discipline is critical. The Orion controllers and E.T. sympathizers are known to target and harass Starseeds that are Polarity Integrators. Being impenetrable to their mental and emotional attacks is possible. Holding the neutral power of the compassionate witness is the process of gaining the wisdom required to be comfortable in the chaos and confusion they propagate. There is a fundamental difference between the mental (literal) translation of the metaphysical event and the actual embodiment of the metaphysical experience. If we have too great a personal position in any belief system, it will block the sensory experience and be orientated through the ego lens. This is why applying neutrality and balance is the Key to the integration of the actual ascension experience. Without balance as the emphasis in our lives, we cannot integrate our bodies and we risk becoming fragmented or schizoid. We cannot embody “cellular knowing” without having the direct experience. So as we observe others in pain or undergoing certain “negative types” of experience it is best to honor them and be loving. Many “perceived” negative personal experiences are highly misunderstood and judged as bad, and this is stemming from an incorrect perception of the event. To those few that do embody the ascension experience, it ceases to be theory or philosophy – but an actual state of existence. When we reach the higher state of embodiment of our own inner spirit, we cease to be governed by the lower 3D mental process. This allows the sensory experience to override the ego’s mental perception and we then can allow the acceptance of all that exists in that moment. To arrive at this vantage point, one must be resolved of the authority problem and fearless in being judged or attacked by the external. This 3D reality is hostile to those who attempt to bring freedom to the planet and its people. Knowing that this planet’s majority of assumed leadership (the controllers) is mentally deranged, is helpful to those who came from other planets to devote themselves to spiritual ascension dynamics. Many of us are newly introduced on this planet to the concept of sociopathic leadership. Fundamentally as a Starseed, comprehension and acceptance of that fact is critical to being effective in this world. One can never expect to be treated, fairly, justly or kindly – as that is not what the current external system is founded upon. It is for those reasons we have incarnated here with a challenging job – one which holds much honor and responsibility. One such example of repeated events in history is the multiple genocide or holocaust memories embedded together throughout the timelines. All such events of the intended genocide of peoples are intimately bound together through the vibrational memory and the complex webbing of soul/monad matrix capture and its mind enslavement. These events cross into multiple planetary barriers of memory which interconnect into solar, galactic and universal memories. This is why understanding our Hidden Galactic History with Extraterrestials and its relationship to the current operating agendas on the planet make these patterns playing out in our current world – crystal clear. The underlying motivation, driving aspiration or the possession attempts to have control over others becomes obvious. The race conflict (war over God through genetics and blood) is taking place in physical matter at the lowest vibrational density in order to finish and resolve the original conflict from the highest densities of memory. These conflicts are millions of years old and are completing in this cycle on planet earth now! All memories and information are recorded within the smallest particle all the way to the largest stellar body, spinning out and replicating itself as it expands into the fractal Universes.en.wikipedia.org/wiki/Fractal_cosmology. Many of these memories exist as “alien implants” and are artificial. They have been programmed and holographically inserted by the Controllers. The perpetrator and the victim are bound together in the same vampiric matrice which ultimately fragment and distort the being. (This is the Victim-Victimizer polarity archetype, which creates insanity eventually.) As these repeated events are horrific to experience the soul fragments and descends into the insanity of the lower astral planes, unable to recollect itself back into wholeness. All the while these fragmented pieces of what used to be “people” and “living beings”, are lost into the vampiric use of their energy quanta. That energy quanta is harvested and fed to phantom spaces to those who choose to bully, dominate and enslave/kill others for their own service to self motivation. The danger of this during this time of “ascension” is the inertia and “purgatory” state it creates for the fragmented “soul self”. That is one specific reason why there is Guardian intervention at this time to recollect these beings/bodies from these phantom spaces that they have been entrapped on – both on the physical and higher planes of existence. We will not forget them. History repeats itself. A replay of these memories passing through “The Ring of Fire” as told by the Ancients, has surfaced again in the planetary field. We are undergoing this (re)memory cycle right now and it has been the source of great confusion for those sensitive to these frequencies. In many cases it generated predictions of impending doom and prophecy of cataclysm and destruction to our planet. This was like seeing into the timeline looking glass without understanding what one was looking at – it is a memory field of our past history. Changes in the planet field configuration and its gridlines holding memory in Cairo-Iraq-Iran (through the hijacked the Phoenix and Eagle grid) have released massive amounts of memory into our planetary field around the Nibiru collision. This collision happened millenniums ago with a 5D planet that was between Jupiter and Mars referred to as the female principle Stellar body Tiamat. This collision was catastrophic and severed the consciousness units of Tiamat and her Moon consort (Kingu) which were strewn into pieces of an asteroid belt. This asteroid belt changed the orbits of the inner planets and outer planets of our Solar System. The severed bodies and consciousness of the planet were absorbed into a phantom matrix and its physical remains plummeted into a descending orbit into the 3D density we now exist. It is a part of this planet that we now exist upon. All of us on this planet have this trauma memory in our cellular body. We will experience this sensation in different ways depending on our developed consciousness and higher sensory perceptions. It is an incredible memory of destruction, cataclysm and annihilation of planetary life. It is the same memory the controllers seek to manipulate in the human race to recreate that terror and cataclysm on this planet today. When we understand the motivation, we are freed from its manipulation over us. We do NOT have to repeat this cycle again, and we are Free – if we choose to Be! Those that work in the planetary gridwork or embodiment prototyping areas will be more susceptible to feel these sensations. These have been moderate to severe symptoms, so staying neutral and peaceful while taking care of your body will be supportive in the integration process. Please note that as this is related primarily to the planetary Stargates 4-7-10 and their related networks, they will sympathetically resonate to that location of distress in your physical body. Portions of tumors in the phantom networks are being dismantled and destroyed in the 10th gateway complex running reversal 10:10 current. This has created sensations of : being unplugged, neurological tingling and numbness, extreme muscle and neurological exhaustion resulting in the heaviness in limbs, feet and arms and hands, extreme purging through vomiting or diarrhea, allergies and inflammation of mucous membranes, sinus and cranial pressure, , especially on the left side behind the ear or head or eye areas, clunky feeling in the center of the brain ( pineal/hypothalamus/pituitary shifts), radiating pulses of energy in certain body parts or organs, heart pain or fluttering, internal organ soreness and tenderness, achy joints, and birthing ( mimics pregnancy) and unusual period or PMS symptoms. This is how the physical body must drop the density of traumatic memories, when they surface in the nervous system, brain and other memory holding complexes in the body. These memories are released into the larger field of the planetary body and then they filter down to us, as the individual nerve cell of the planet earth. Using the Timeline Override Sequence (TOS) for Starseed Polarity Integrators, as well as the AOA clearing meditation provided in the September newsletter will assist the body in clearing and letting go of these painful memories. When you can participate with the source of the painful memory, it clears and shifts the symptoms more easily and rapidly. Thank you to Mr. Sitchin and all of those courageous beings who have prevailed against the incredible resistance of bringing the truth of Extraterrestial involvement to our planet. ** Return to Rightful Owner. A Command made in God’s Authority in the Law of One. This ES Monthly News Article reflects the Guardian Perspective of the Ascension Timeline (2012 Timeline) as support, both energetically and informationally, for the Galactic Families of Starseeds and the Indigo Races. This Spiritual Family has accepted the Guardianship role to support the foundation of Cosmic Citizenship as an evolutionary model for this planet and humanity, and this is a level of earth based advocacy designed for this specific group. There is absolutely no value difference given on the role each being has chosen for its expression. The Guardian Groups mission directive is rehabilitation of the hologram, repairing its energetic architecture (dna), embodying the Ascended Human Protoform, supplying informational context on Ascension dynamics and Exopolitic (ET) Agendas and reeducating both human and non-human’s to be congruently aligned to the Universal Law of One. Freedom, Fraternity, and the Sovereign Right of All Beings to be a Knower of God Source is protected by the Collective Unity Vow shared among our Universal Guardian Groups. Defender Warriors of Truth, Sovereignty, Liberation. All Guardian races Serving the One. From Across All the Multiverses We Call Upon You to Join US Now. Our Unification Principle deemed as demonstrated in the waves of Omni Love – We Sound our Group Note to You Now. Our Group Template Updated, Individually and Collectively, Renewed and Forever Perpetuated in the Eternally Sustained Light. Our Alchemical Container is consecrated and dedicated to the Purposes of One, and we endeavor to be the Knower of God to then be the Way Shower of God. Sustain Us in the Eternal Power of our Consecration. We have called for your Gatekeeping in order to hold our community, our missions, our mutual highest purposes in Service to the One Light, Our Source, The Living Light Code. Our Intention is Unification – The Christ Principle – as an Energetic Reality, Here and Now. We request the handshake of our community to fortify our spiritual links through the Universal Cosmic Triad, and into The Core of One, the Zero Point God Matrix, that which is the source of our Genesis. With deep reverence for all of Life, Dear God, Breathe your Life Codes into all created form. We set our intention now to be Remembered to That Which We Are, fully completely and totally. To State our Mutual Purpose as One, Resurrect All inorganic patterns to the Organic Living Light Now. And to that we Say, Thank God We Are The Cosmic Christ! And so It is. Lovingly Decreed. BECOME A PART OF THE NEW ES Ascension Buddy Community and Forum. This is an exciting community place to meet Ascension Buddies, and help each other with the Ascension process. Your membership or donation helps to keep the free content and the ES website operational, please consider supporting our web community offerings. This private area includes your own mySpace-style section, where you can share your personal photos and info. Make connections with other members and invite them to join your Ascension Buddy list. Talk with each other in the live online Chat Box. Send Private Messages to your friends. Ask questions and discuss ascension solutions or techniques in the Forum. Read current ascension articles from Lisa Renee which are only for members. Greetings from Athabantian. We return this day to answer questions that have arisen since our earlier message. There are two major aspects of The Transformation. With the assistance of outside energies Earth is transforming herself — restoring herself to her former pristine self. No longer will she permit the burning of fossil fuels. No longer will she permit the fouling of her atmosphere, water, and soil. She is returning to a place of pristine beauty. The transformation of Earth’s humans is the second aspect; it is a unique experience. Humans are being invited to transform themselves into beings of lighter vibration, higher consciousness, and to function from a basis of love. Not only are your souls invited to transform, but your physical bodies will also be transformed, if you so choose. This is a complete transformation, for all will change. No more will fear, hated, anger, violence, and lies rule this planet. These aspects of the so-called 3rd Dimension are going away, along with structures and beliefs that favor the few. This is NOT just another business cycle, nor is it socio-economic upheaval. It is a fundamental transformation of humanity. You may find more details of The Transformation in our earlier messages. The Transformation will be accomplished within the next few months. Fasten your seat belts; you are in for a true metamorphosis, despite what you see in your national media The Transformation is underway. Physical, mental, spiritual, and emotional aspects of it are playing themselves out. There is no more business as usual. Is it any wonder that so many beings from around the universe are gathered here to watch this wondrous event? Why did you come all the way from Andromeda to assist with Earth’s resuscitation? As participants in the Starseed project, we from Andromeda were one of the contributors of the initial humans to Earth, so we naturally felt a kinship with Earth and her humans. 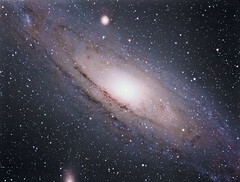 We had experience in Andromeda in providing light energies to overwhelm the dark energy. The elders of our galaxy determined to send us in response to Earth’s call for assistance. We aboard Athabantian come from several planets in the Andromeda galaxy. I, Bren-Ton, have most frequently incarnated on a planet whose name in your English language might be called Sicily. It is of the star system Mooney, a star midway to the center of our galaxy. It is a planet with an ecosystem totally different from Earth — we existed totally as air breathers. I had many incarnations, principally on that planet, but also on others, and eventually transformed into a being without physical form. It is not unlike your progression to a higher level of consciousness, based on acquiring the necessary light and experiences within your soul. For the last 100 of your years I have been aboard Athabantian. How did you find Mark Kimmel among all the others of Earth with whom to communicate? Mark is a member of a soul group who had been incarnating on Aden, a planet of the star system Beloit that is in our galaxy. When he determined to incarnate on Earth — to be here at the time of The Transformation — his soul mates, Justine and Moraine, followed his progress. When it became time to find an Earth human, with whom we could communicate, Justine and Moraine suggested Mark — by then both were onboard Athabantian. We accepted their suggestion and awakened Mark to his mission. If you look at the original communications from us to Mark, they were from Justine. Are you communicating with other Earth humans? Yes, we have been here for many years, and have communicated and continue to communicate with several Earth humans. In addition, many from Andromeda walk upon your planet. What of the institute to which you have referred in your earlier messages? The institute is an anchor involving a collective of people joining their intentions and actions together to ground the energies of change. It is one focal point in our efforts to assist humanity. It is slowly manifesting itself as the energies of change impact more and more people. Why did you take this new approach to communicating through Mark Kimmel? Our focus in these new messages will be to raise your consciousness so that you will more easily weather the coming changes and will emerge on the other side as eager caretakers of the new earth. We wish to assist you to avoid fear and discouragement. We believe this new format will accomplish this. We hold you in unconditional love, my sisters and brothers. Until we communicate next time, I am Bren-Ton of Andromeda. You may make copies of this message and distribute in any media as long as you change nothing, credit the author, and include the web address.